Guardian Home Care is locally owned and operated Home Care company.Our mission is to enhance the quality of life of our clients through our knowledgeable, skilled and caring caregivers. Our personal touch is what sets us apart. 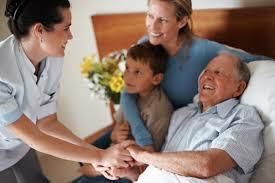 All the testimonials on Guardian Home Care are written by clients from our community. So any testimonial you see is based on a stay that a guest had in a host’s listing.